Skin Brushing is a lost art but Sublime Beauty® is helping to reintroduce it. Skin Brushing brings benefits to health through improved circulation, lymphatic support, cellulite management and better skin quality. Why is Skin Brushing essential? The skin is our largest organ, and is very important in elimination of toxins. However, as we age, the skin becomes less able to shed the toxins and dead cells and this can create a number of problems. Exciting new Skin Brushes are available from Sublime Beauty®, who is reintroducing a great practice known through the ages but is a lost art today. "Skin Brushing, also known as dry body brushing, has so many benefits for our health and beauty," says Kathy Heshelow, founder of Sublime Beauty®. "We love that circulation and lymphatic systems get a boost and that functioning of our largest organ, the skin, is supported through Skin Brushing." Why is Skin Brushing essential? 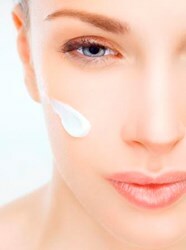 The skin is very important in daily elimination of toxins. However, as we age, the skin becomes less able to shed the toxins and dead cells and this can create a number of problems. Skin Brushing eliminates the toxins and cells and allows skin to function as it should. Brushing also supports skin renewal and health so that skin will start to glow and will tingle. Added benefits that are also important? Skin Brushing boosts blood circulation and supports lymphatic movements and drainage. The lymphatic system does not have a natural pump and relies on muscle movement. By Skin Brushing, the lymphatic system gets assistance in moving these toxins along, and this supports the immune system. An additional bonus is that skin brushing can assist in cellulite management by helping to move toxins along and encourage healthy skin renewal. 1) Skin Brushing is done on absolutely dry skin. 2) Skin Brushing is ALWAYS done towards the heart. 3) Start at the feet and move upwards, brushing back and front of body. 4) Strokes should be firm but should not hurt - there should be a pleasant, even invigorating feeling, and skin may become a little rosy. 5) Many like to brush in the morning before a shower, though some like to practice this in the evening. True believers do both. 6) Do not Skin Brush over open sores, and do not brush the face. Celebrities know the secret of Skin Brushing. Molly Sims gushes over the great practice, and others like Madonna, Jennifer Anniston, Kim Kardashian and Victoria's Secret models are reported to Skin Brush regularly.